Roller Blinds continue to be a product of choice for our customers as they provide rooms with the functionality and sophistication of a decorative window covering, whilst still being affordable. Our made to measure service gives you the ability to choose roller blinds that meet your exact taste and requirements of your home. Our roller blinds are able to transform any room in your home or business with unique and stand out styles, whilst being a practical choice by allowing you to choose the level of privacy you have at any given moment. There is plenty choice with our roller blinds available in a variety of plain, textured and patterned fabrics to suit all styles. We also offer a range of light filtering, room darkening and flame retardant materials. Blackout roller blinds are the perfect choice for any room in your home. If you’re a light sleeper blackout blinds will help to eliminate the light from outside coming in and disturbing your sleep. Don't let the lighter nights ruin your child's bedtime routine with blackout blinds cutting out that late sun in mid summer evenings. Blackout blinds are great for ensuring a comfortable night’s sleep all year round. During hot summer days blackout blinds are the perfect choice as they can regulate the rooms temperature allowing the room to remain cool, whilst in winter these blinds will reduce your heating costs with their added insulation keeping your home cosy and warm. Not only are blackout roller blinds a practical solution for your home they’re available in a wide range of colours and patterns suiting all tastes and preferences. If you want to make it safe, make it Senses. With no chains or loops Senses 'Slow-Rise' blinds are our safest range. The Senses 'Slow-Rise' is a chain and cord 'loop free' system making it one of the safest roller blind systems available on the market today. We also offer a standard chain operated Senses system with a full range of safety components and additional aesthetic features for your peace of mind. 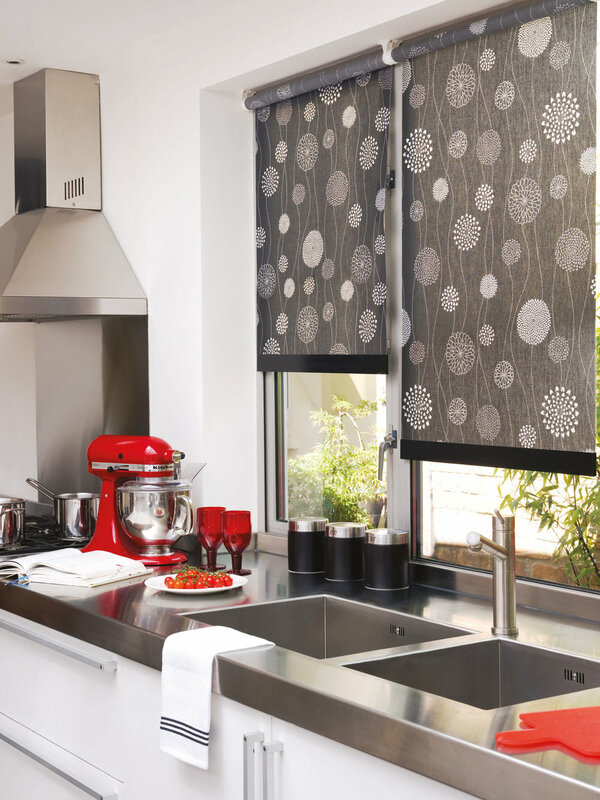 Senses roller blinds are not just the perfect choice for family homes but for every home. This contemporary window blind adds style to any room in your home. The INTU Roller system is the most innovative blind system available on the market. INTU has been designed for use throughout the home or business and enhances the look of any conservatory. These blinds are popular as they integrate neatly into all modern doors and windows. INTU Rollers require no screws or holes, allowing them to be installed in minutes. INTU Rollers are available in over 250 roller fabrics, which come in a variety of styles and colours including prints and plains, textured and patterned fabrics. This allows you to pick a blind which is stylish and modern but which is also safe and child friendly as there are no hanging cord loops or chains. Is your child's room football or Disney themed? Does the room and furniture match apart from the blinds? At Knight Shades we understand how difficult it can be to find blinds which fit your colour or design theme exactly. That’s why we offer custom made roller blinds. Bring us your idea or print and, collectively with our experts, we’ll create the perfect blinds specific to your requirements to fit your themed room perfectly.